We here at Must See in Iceland are pretty much obsessed with food – in any way, shape or form. And we’re always on the lookout for the best restaurants in Iceland. 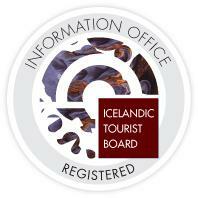 And we’re also extremely proud of our Icelandic culinary heritage – even though some might find it a bit disgusting. Ok, a lot disgusting! But where are the best restaurants that highlight Icelandic ingredients in a non-yucky way? We turned to sommelier and TV star Ólafur Örn Ólafsson and asked him to pick the best restaurants in Iceland that emphasize Icelandic ingredients in their cuisine. Ólafur is a man of taste and knows good food when he tastes it, i.e: he knows what he’s talking about! You can catch Ólafur hosting the TV show Það er kominn matur (EN: It’s dinner time) on Sjónvarp Símans on Thursday evenings where he and his co-host, Inga Lind Karlsdóttir, cover many of Iceland’s most beloved foods and food traditions.